We have a new member of our family! His name is Marble and he is a four year old Sphynx cat. Grant and I are very allergic to cats and Noah has asthma but we really wanted a cat. 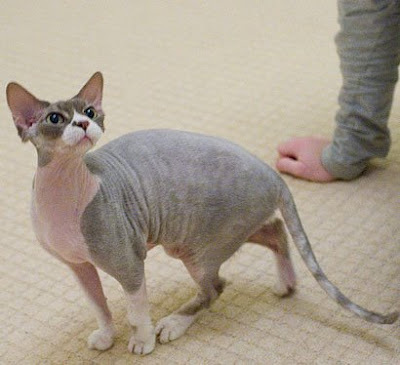 A while ago I had discovered Sphynx cats which are nearly hairless - they have short peach-fuzz type coats - and I wondered if we would be allergic to them. The wondering stopped when I found out how expensive they are. We just could not afford one. 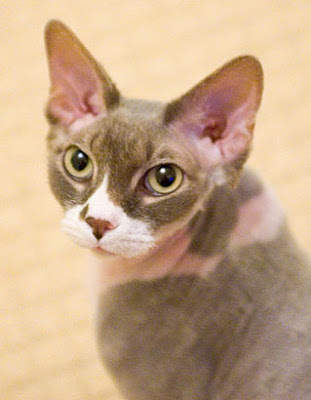 But recently Grant was searching online for Sphynxes again, looking to see if there were Sphynx rescue cats. 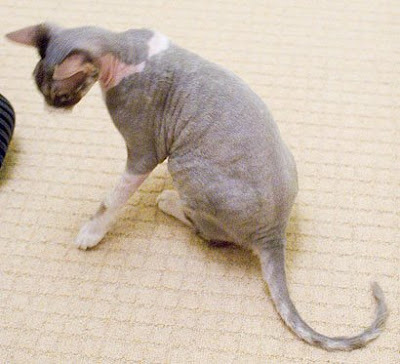 He found an advert placed by a Sphynx owner who was wanting to rehome her cat as he no longer had company during the day and had become lonely and stressed. They are very sociable cats and need someone around all the time. After emailing back and forth for a bit we went to visit and see if we had a reaction to Marble. We didn't! It was amazing to play with a cat and not be wheezing, sneezing and feel ill and have itchy eyes. The boys just fell in love with him too. We were fortunate to bring Marble home with us on Saturday, and so grateful to Sue and Kev for selflessly letting him go even though they love him so much. He has very short fuzz on his body, but he isn't completely hairless. His feet have very soft crinkly short white fur and his face has short fur on too. 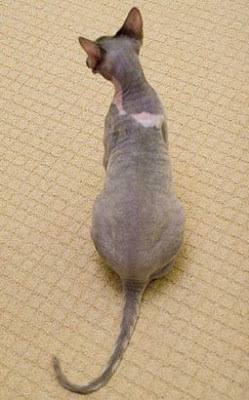 You have to bath Sphynxes regularly as they don't have hair to distribute the skin oils and it builds up. He had a bath today and loved it, he was purring away! It's so funny to see a cat enjoying a bath.